Five hundred and seven games. One hundred and three goals. All of that, and Alex Killorn has never had a night such as this one. Killorn, or "Killer" to his Tampa Bay Lightning teammates, had the first hat trick of his career Saturday night, leading the Bolts to a 6-3 victory over the Washington Capitals. 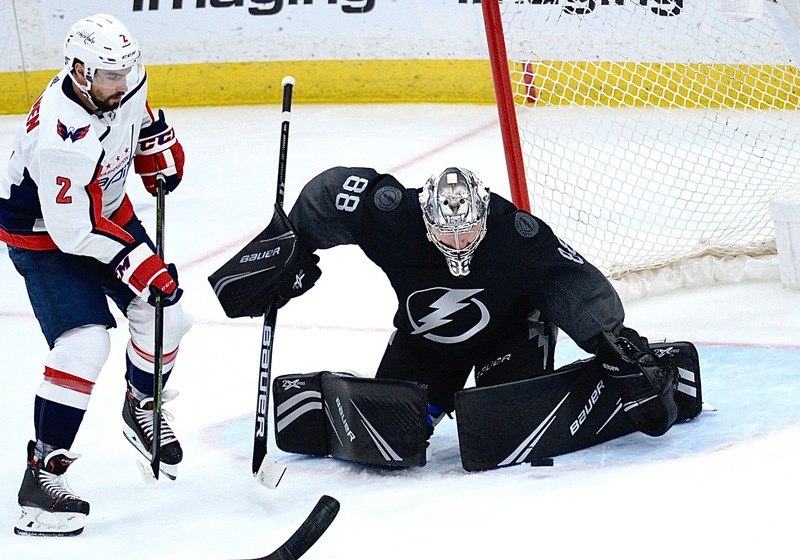 It was the first meeting of the Caps and the Lightning since last year's Eastern Conference Finals. 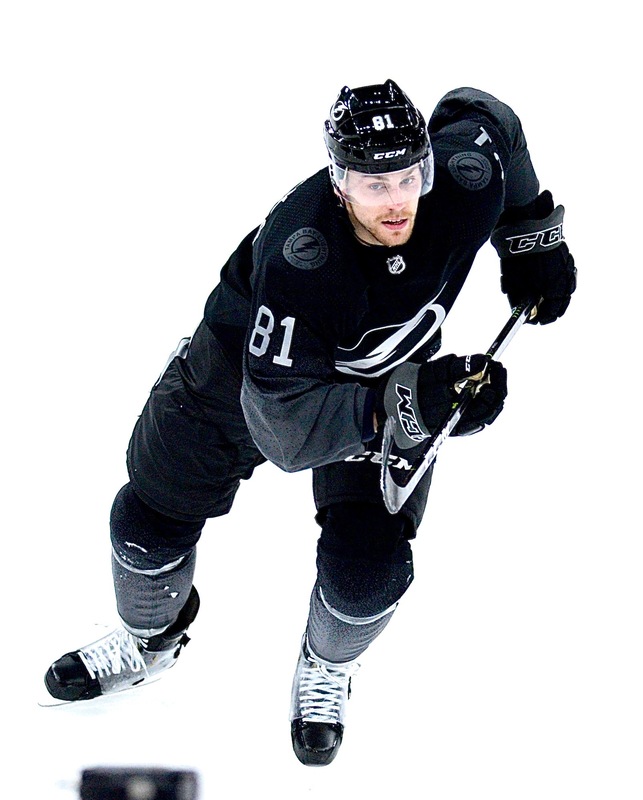 The Lightning improved to 55-13-4 (114 points) on the season and established new franchise records for wins and points in a season, bettering the 54 wins and 113 points they put up in 2017-18. The team has 10 games to go. Their magic number is down to two. coach Jon Cooper said. "He’s played a few games, guys were on him but obviously in a great way. They were pretty excited for him. Killorn now has 16 goals on the season. His season high is 19. Killorn was asked about setting a record for wins. Killorn said the Bolts knew Washington would be physical. "I think that's something that they try to do especially coming into the opposing building," Killorn said. "Some of the guys are pretty physical. It seems like they like to start the game that way, but I don't think we backed down in any sense and I think we replicated it so it was good that we could come back like that." Forward Anthony Cirelli said the Lightning is versatile. "I think it shows we can play either game," Cirelli said. "If it's the run-and-gun game or trying to get a little physical game, play hard on guys. When it comes to playoff time, every team is going to be good, every game is going to be a battle. I think we are just preparing and getting ready for that. "I think we worked on the second half here just trying to be a good defensive team and a hard team to play against so the matchups we got down the stretch here are against all really good playoff teams. I think it's a good test for us, and they're like playoff games." Cooper noted how physical the Caps are. They’re going to be a tough out for whoever runs into them," Cooper said. "Part of that is they’re a blend of size, speed and skill. I think last year when it was tale of the tape, they were the biggest team in the league. I’m not saying they won because they were the biggest team, they played the best, that’s why they won. I’m pretty sure the size didn’t hurt them. Tyler Johnson said the key isn't the opponent, it's the effort. “I said before the game I don't think we really focus on who we're playing," Johnson said. "It's just a matter of how we're playing. We focus on what we need to do, the little things we need to improve on so when playoffs come around we're ready for it. So maybe you see Washington in playoffs, maybe you don't, you never know. So it's really just focusing on us." Andrei Vasilevskiy improved his record to 34-8-4 on the season. He has now won 13 of his last 14. The Bolts are home Monday night to play Arizona. The puck is scheduled to drop at 7:30 p.m. Previous post: Random thoughts: Is Pittsburg still to be admired?